As a writer of young adult suspense, I am an avid reader of mysteries, thrillers, and suspense for both teen and adult audiences. I find myself reading to keep up with the market, but also for pleasure, as I have a long-standing love for a great mystery and thrilling psychological suspense. 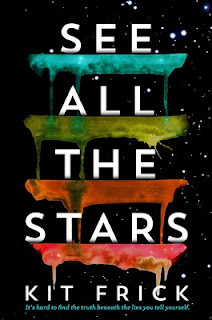 I’ll highlight three recent YA reads that had me entirely riveted. I tore through The Window by Amelia Brunskill. Following her twin's sudden death, everyone wants Jess to grieve, and then move on. But it's not that simple. While her parents, the police, and her community readily accept the easiest explanation for Anna's death, Jess alone can see that all the pieces don't quite fit, and she is driven by a hunger to solve the mystery behind why her twin really died. I'm such a sucker for sibling relationships, teens who take control when the adults in their lives don't step up, lovely writing, and dark twists, and Brunskill delivers on all fronts! This is a truly gripping debut. 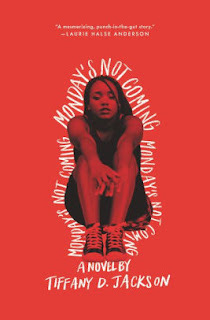 I recently finished Monday’s Not Coming, the second novel by Allegedly author Tiffany D. Jackson. Written in multiple interwoven timelines, this jigsaw puzzle of a thriller with a truly horrific twist will keep you on your toes. Come for the page-turning mystery, stay for the charming, poignant, and absolutely fierce friendship between Claudia and Monday. When Washington D. C. middle schooler Monday Charles goes missing, Claudia won’t rest until she finds out what happened to her best friend—even when no one else takes her concerns seriously. And they should really listen. 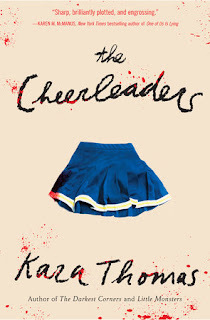 Last but definitely not least, I highly recommend The Cheerleaders, the third stand-alone novel from thriller ace Kara Thomas. As a grim five-year anniversary approaches in a small NY town—five cheerleaders dead in three separate incidents—the sister of one of the dead girls finds that questions beget more questions, and danger is very much alive. There's a multi-layered mystery that spans two timelines, teens making hard and sometimes bad choices and growing as people, great character relationships, cheerleading and dance team (obv! ), and a "ripped from the headlines" premise that drew me right in. 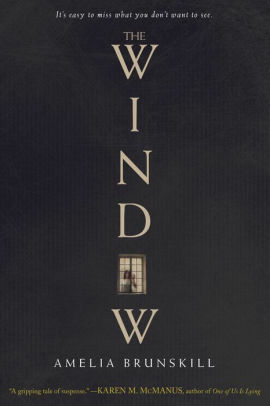 After spending two years myself in the next town over from Dryden, NY—the real-life town whose string of grim murders and crime had a hand in inspiring Thomas's Sunnybrook, NY—I knew I needed to dive right into this world. The Cheerleaders rocked me in the best way, and I'm still reeling. 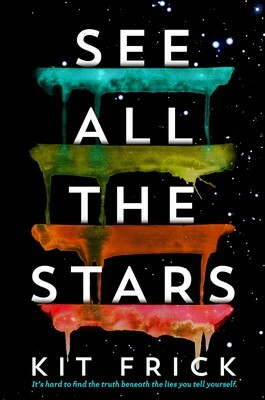 The Page 69 Test: See All the Stars.